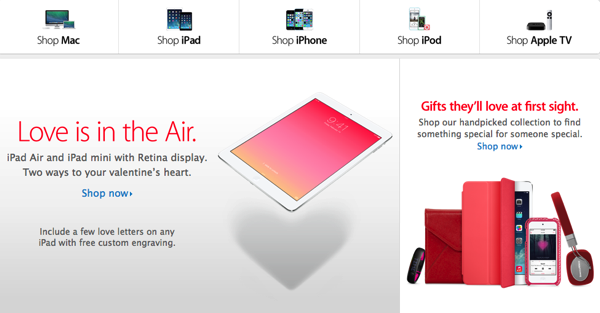 Before Apple launched its Valentine’s Day promotion, it took the store offline for several hours. 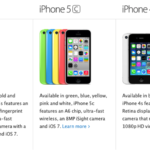 The result: Besides the “Love is in the [iPad] Air,” another important change is in store, backed by rumours brought to 9to5Mac’s attention claiming that the Apple TV will receive a major upgrade. 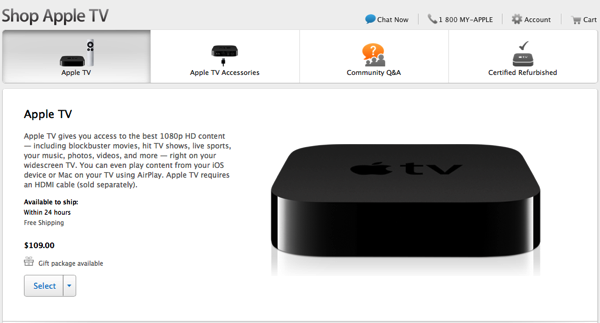 On top of adding content to the Apple TV, 9to5Mac has heard unconfirmed information about a combined Apple TV and Airport Express product. Since the set-top box hadn’t been refreshed for quite some time now, sources whispered that new versions of the Apple TV will include an integrated 802.11ac wireless router. We’re also told that the new Apple TV will likely feature a focus on gaming, and this lines up with a recent iLounge report. We’re led to believe that the game integration will utilize existing iPads, iPhones, and iPod touches as controllers. It’s likely that there, too, will be some integration with Apple’s physical controller MFi program. Furthermore, the next generation Apple TV is rumoured to feature a built-in TV tuner, and if the whispers are true, users will be able to utilize existing iDevices as gaming controllers. Sounds promising.